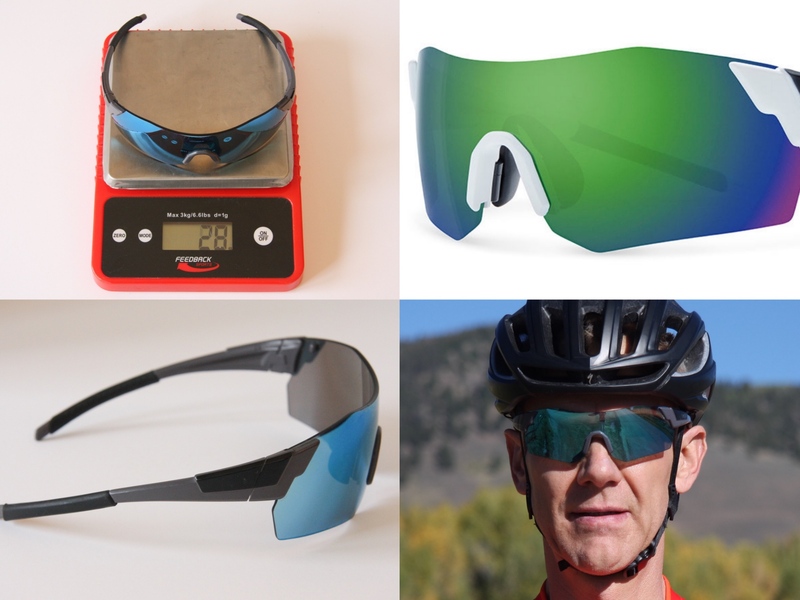 Choosing the best sunglasses for cycling includes a host of considerations such as fit, grip, coverage, and optics. 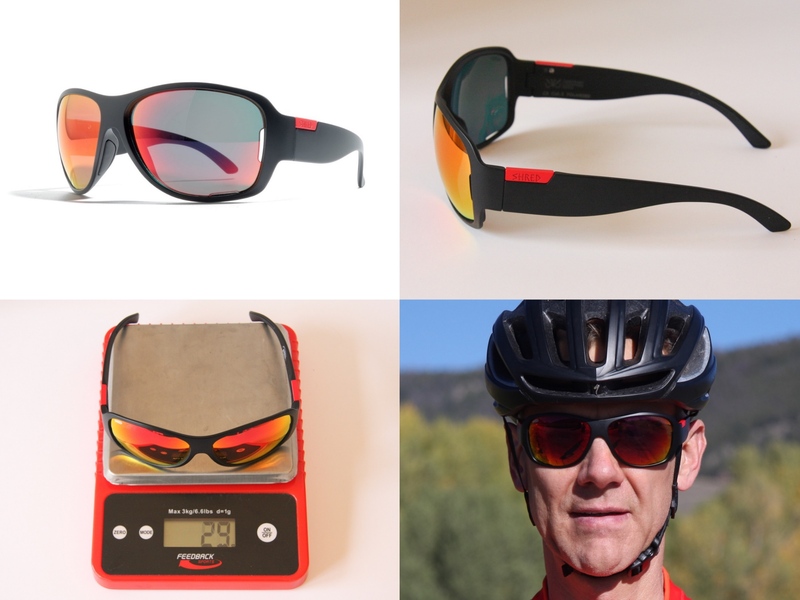 The best sunglasses for cycling strike a delicate balance between protection, performance, and looks. Yes, it’s true that while function is critical, form can never be discounted when it comes to something you wear on your face. 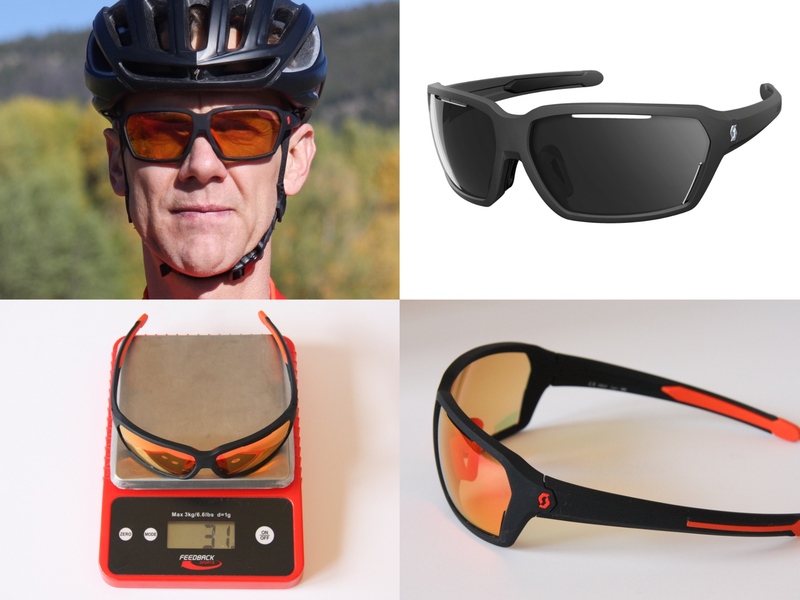 So what should you look for when seeking the best sunglasses for cycling? That’s a tough question to answer thanks to the myriad manufacturers, designs, styles, shapes, and various features. 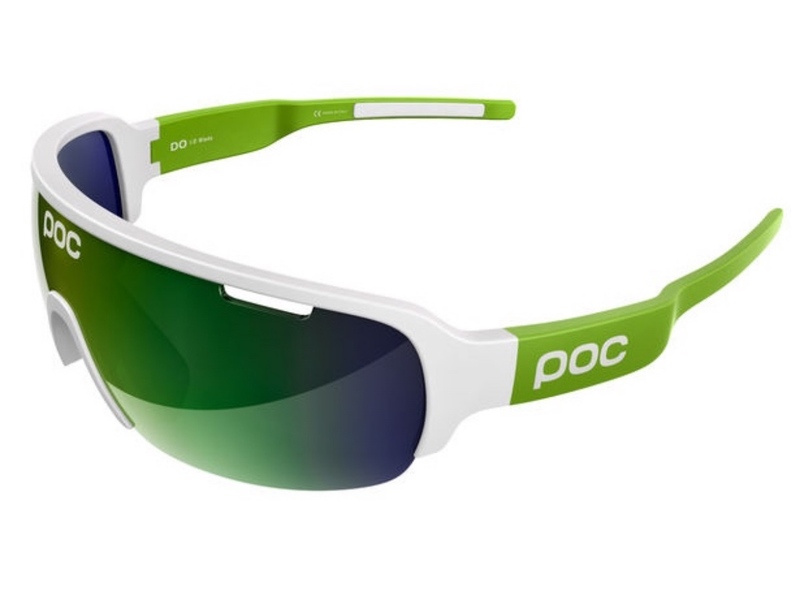 But we’ll do our best to break it down for you, plus present 10 of our top picks for the best sunglasses for cycling. 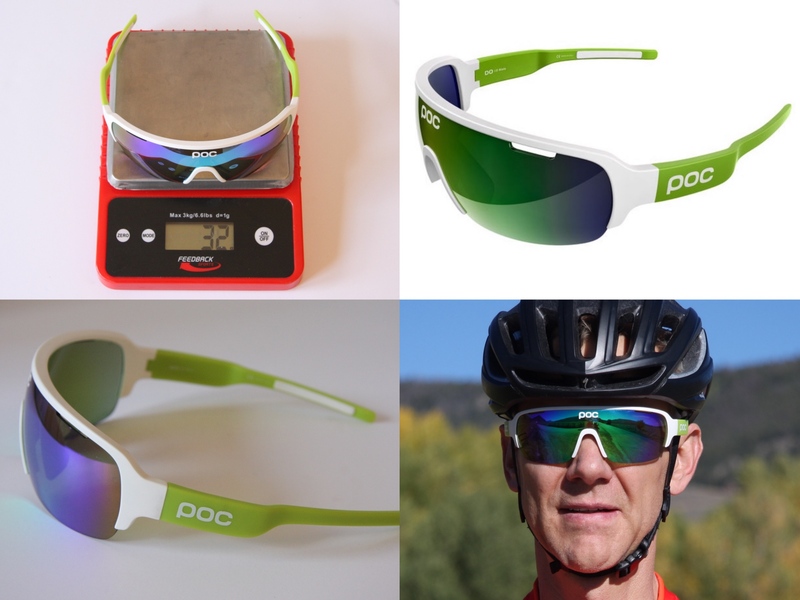 Like just about anything you wear on your body, proper fit in paramount when choosing the best sunglasses for cycling. In this case you need to consider how the sunglasses will fit on your face — and how they’ll interface with your helmet. 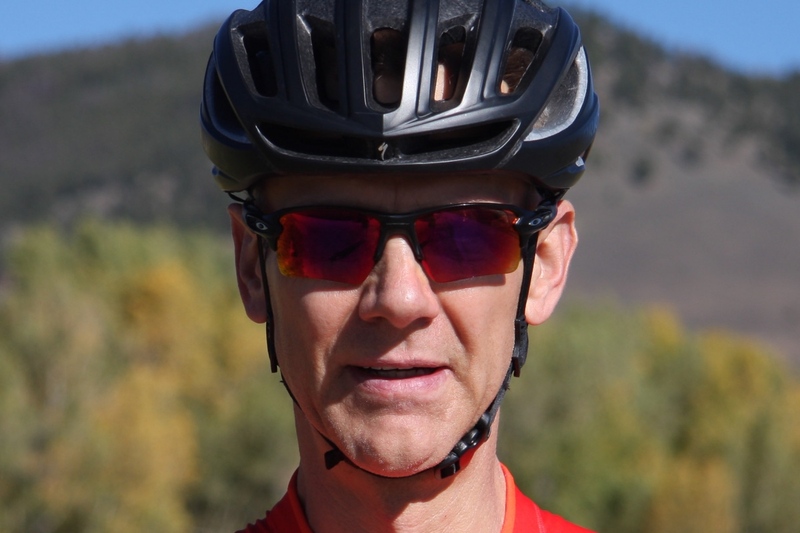 Typically frames that have straight temple arms offer the best helmet compatibility, but if possible it’s always best to try before you buy. 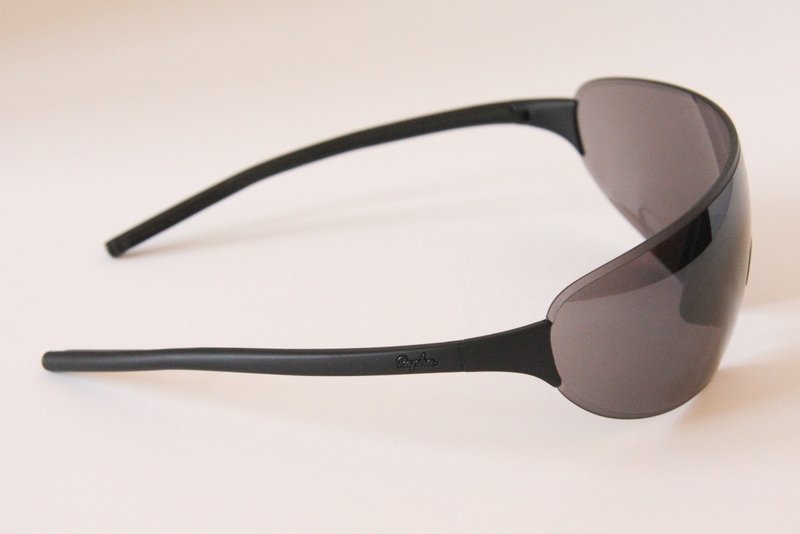 Some sunglasses also have adjustable nose pieces or temple arms that can be manipulated to provide a truly custom and secure fit. 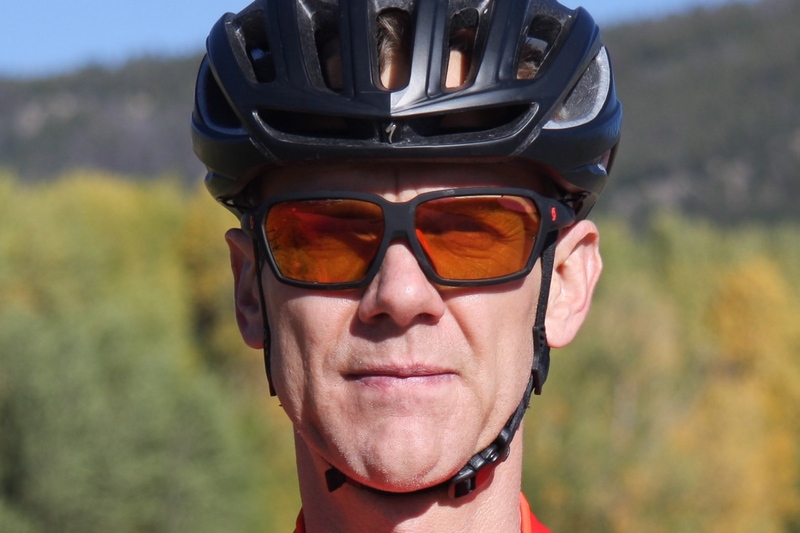 Yet another important factor to consider when searching for the best sunglasses for cycling is light versus dark lenses. Both have their pros and cons, but No. 1 above all else is your lenses can’t be so dark that you can’t see the road or trail in lowlight conditions. 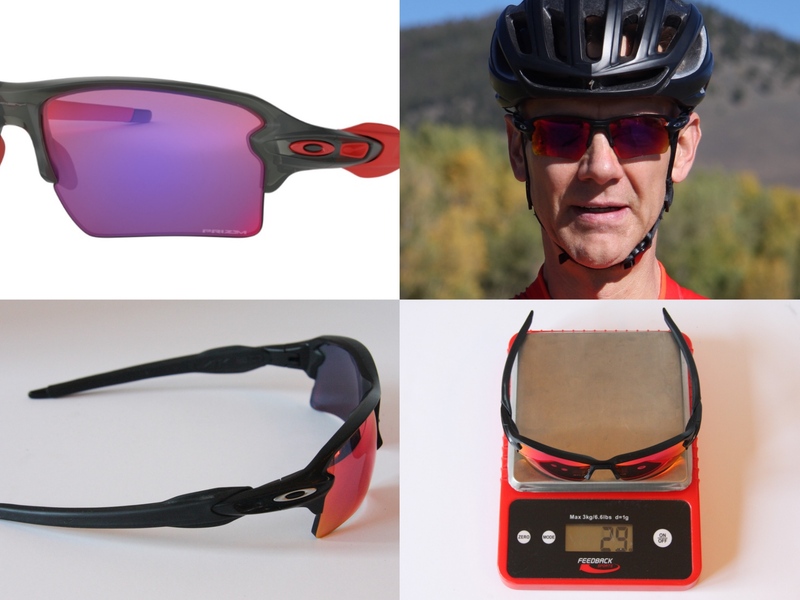 This can be tricky, especially if you ride in a place where the trails poke in and out of the forest, meaning you need a lens that works in the darker situations, though it may not feel dark enough when you’re out in the open. How much the lenses wrap around the side of your face plays a large role in protection. 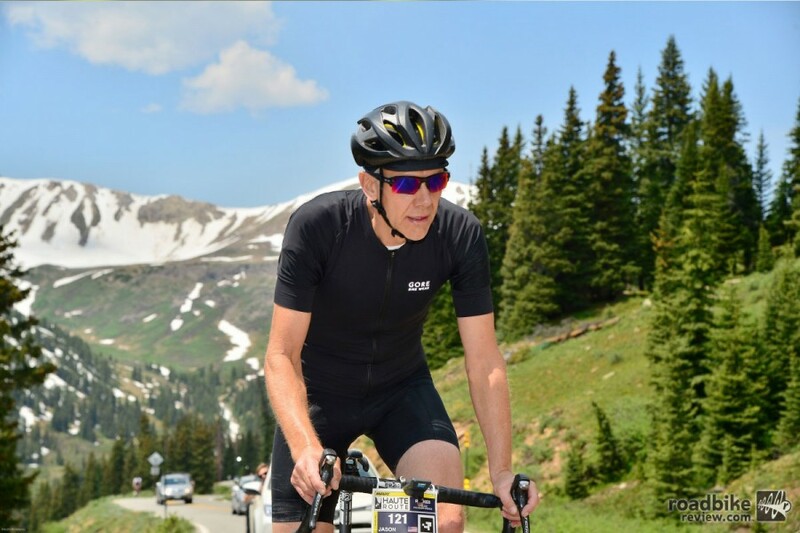 One option to consider are photochromic lenses, which actually change tint depending on available light, which in turn makes it easier to deal with rides with variable light conditions. 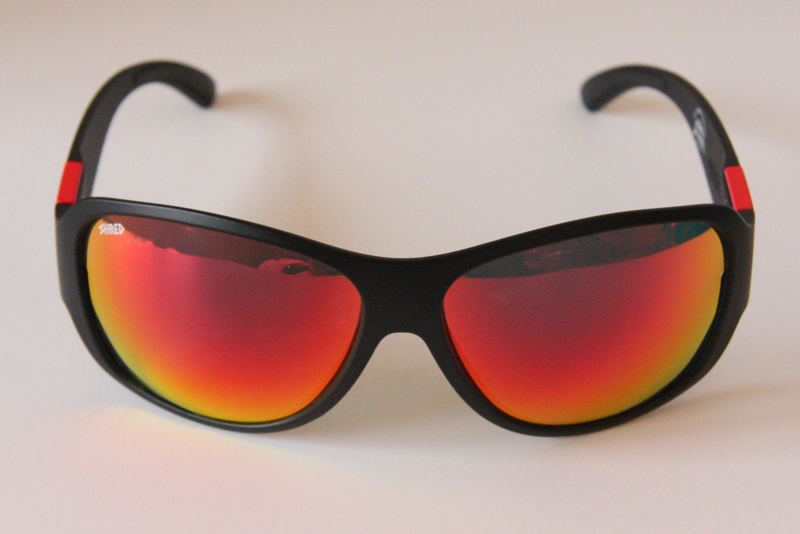 No matter which you choose, make sure your lenses have UV protection, lest you end up with sunburned eyes. 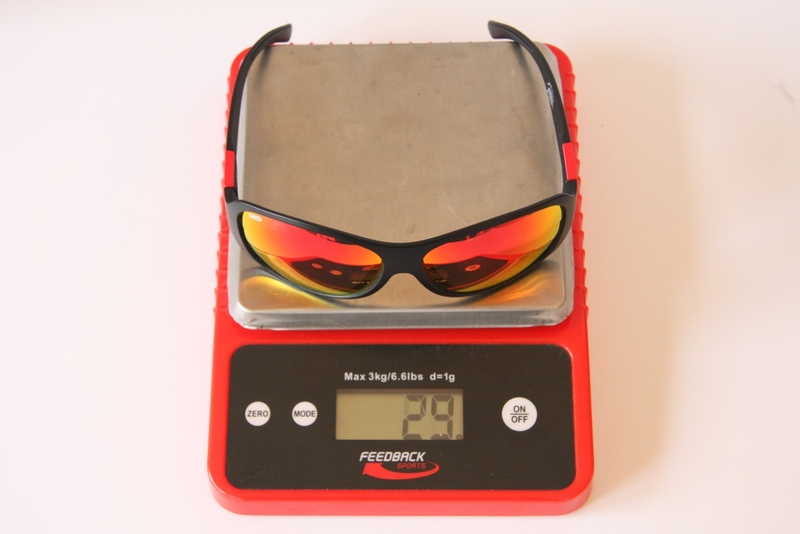 Polarized lenses are yet another possibility, as they do a commendable job at reducing glare which is especially handy if you often ride in very bright light conditions. 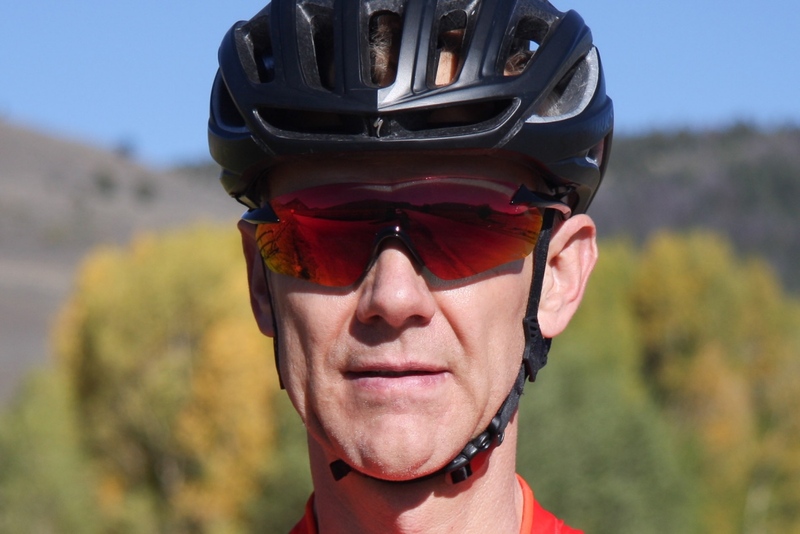 The downside is that polarized lenses make it very difficult to read digital screens such as cycling computers, and they can make it harder to pick out obstacles on the road. 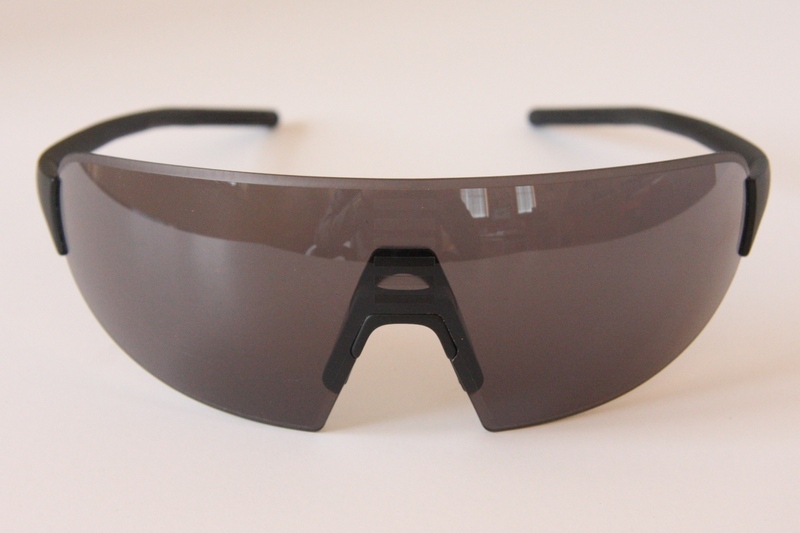 That’s why a contrast-enhancing non-polarized lens is typically the better choice for cyclists. 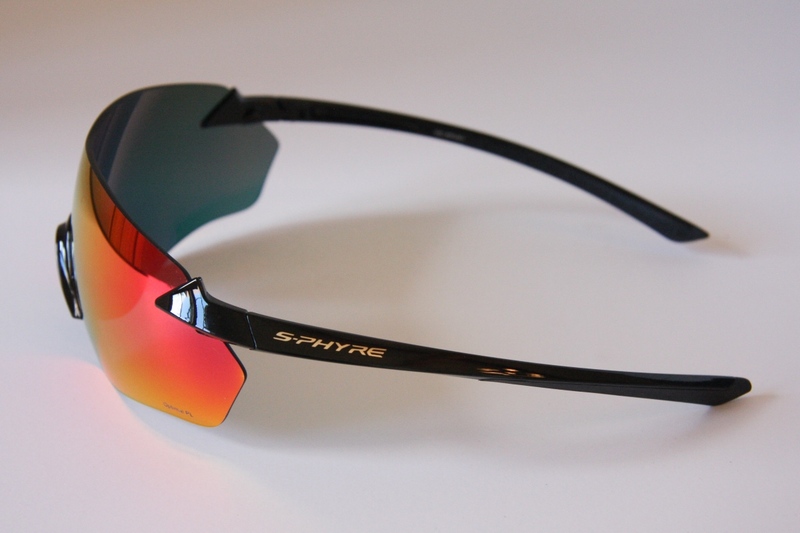 Lens options such as Smith’s ChromaPop and Oakley PRIZM are designed to filter out specific unwanted wavelengths of light, thus enhancing what you want to be able to see such as roots, rocks, and potholes. It’s never fun to get something in your eye, but this is especially true when zipping around on your bike. 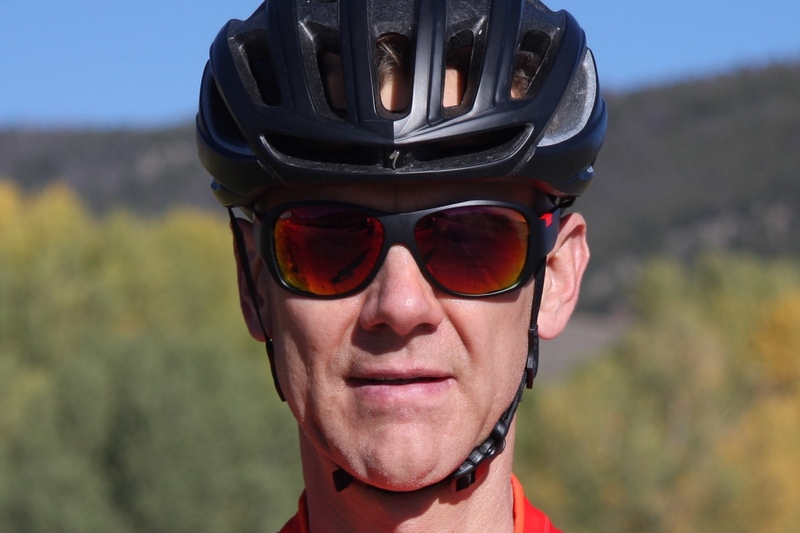 That’s why the best sunglasses for cycling provide ample eye coverage, including on the periphery. 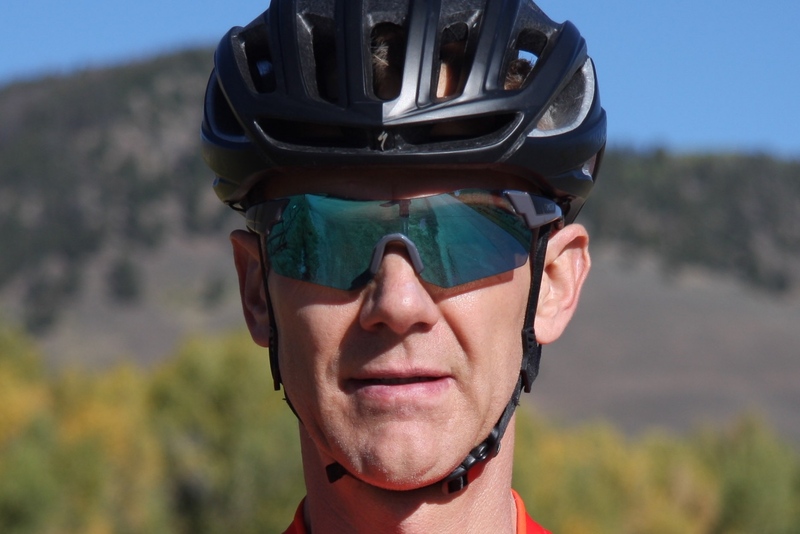 That’s why many high-performance cycling sunglasses have wide lenses to cover and protect your entire field of vision, protecting your eyes from trail obstacles. 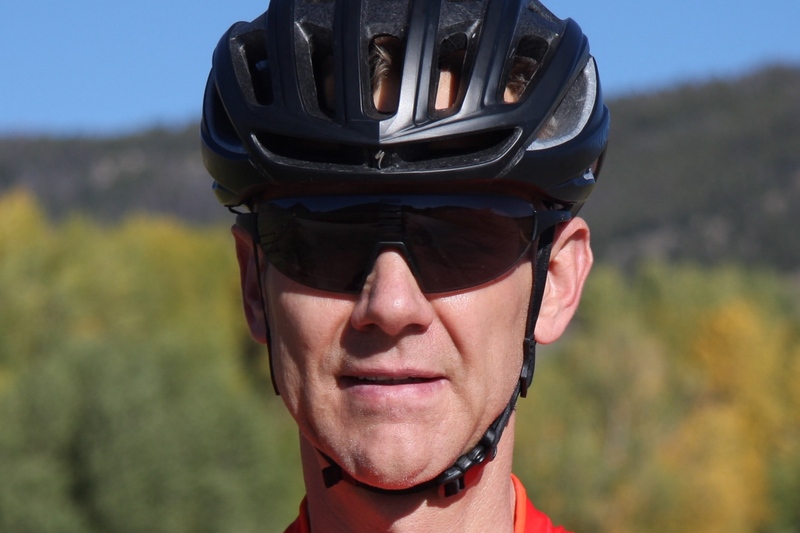 The extra wrap will also help keep the wind from buffeting your face, which can otherwise lead to eye fatigue, especially on long rides. 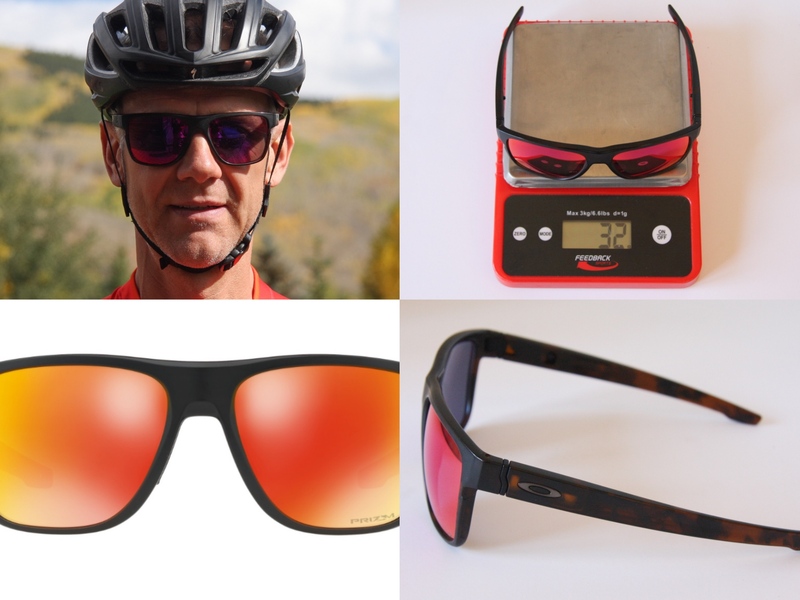 The best sunglasses for cycling are those with secure rubber nose and temple grips (often made from hydrophilic rubber), which help keep your shades in place no matter how much you sweat or how rowdy the trail. Indeed, there’s nothing worse than having your sunglasses slip down your face in the middle of gnarly rock garden. 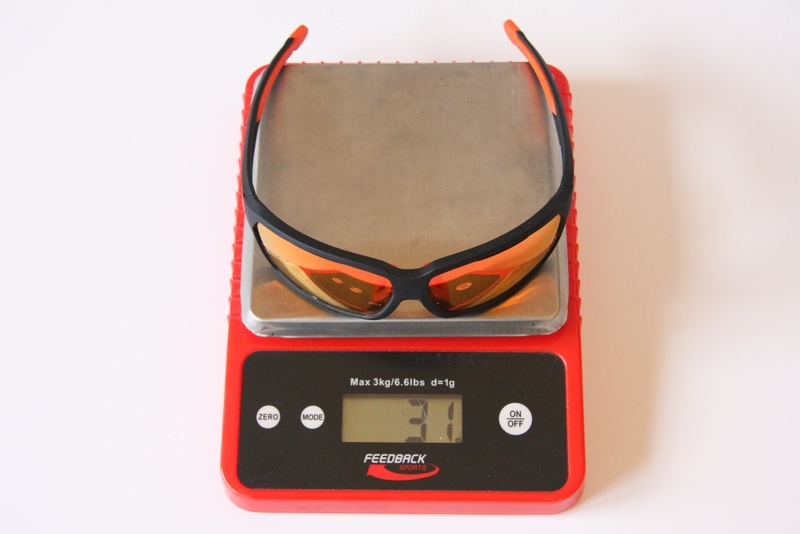 Security is even more critical if you wear prescription sunglasses, where proper alignment ensures your focus remains where it should be. No matter how hard you’re working your sunglasses should stay in place on your face. 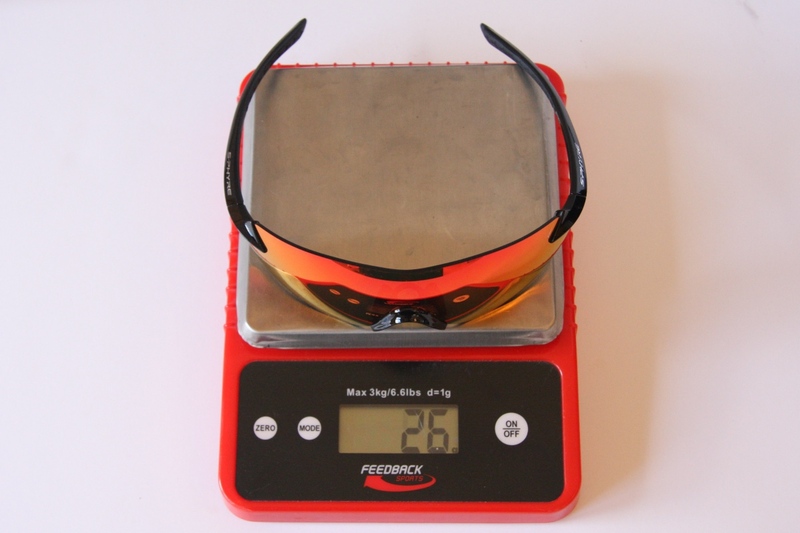 As you’ll see below, most cycling sunglasses are fairly light. This is a good thing, because the lighter your sunglasses are the less you’ll notice them. 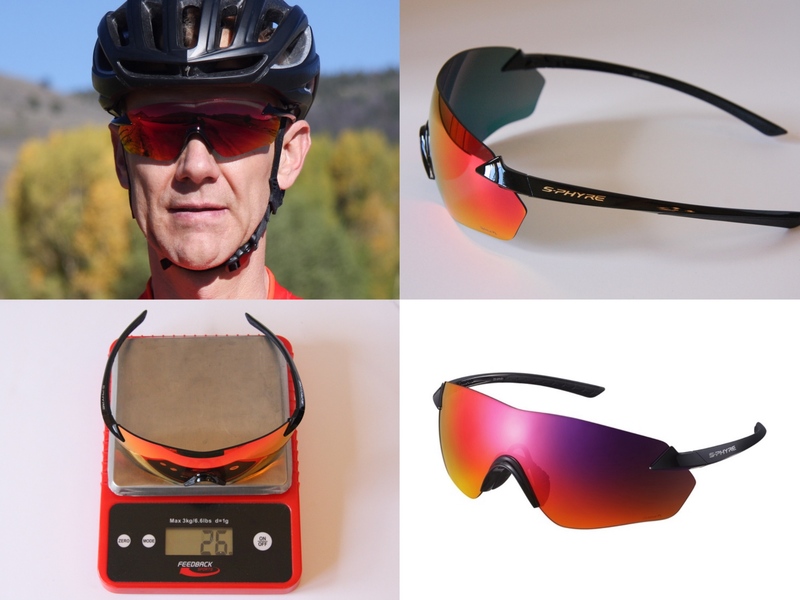 And you sunglasses are definitely not something you want to be thinking about when dropping into a burly jump line or racing a full-gas cross-country race. 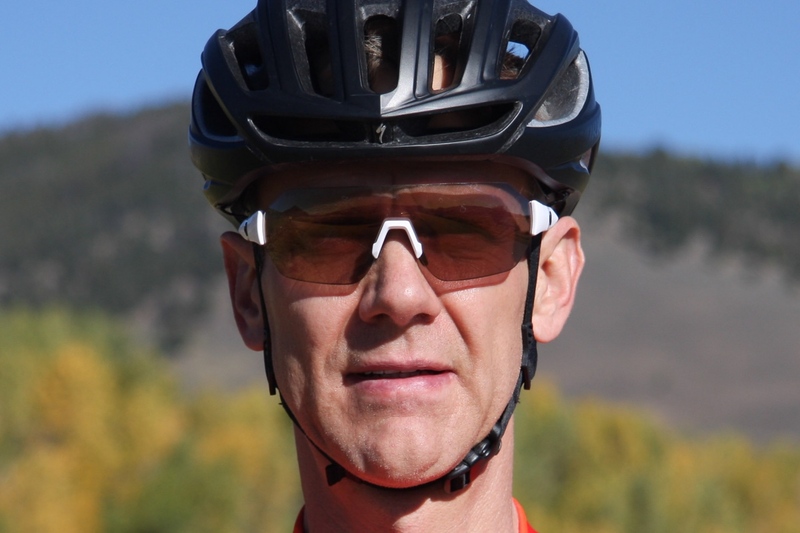 Outdoor sports and corrective eyewear don’t always work well together. 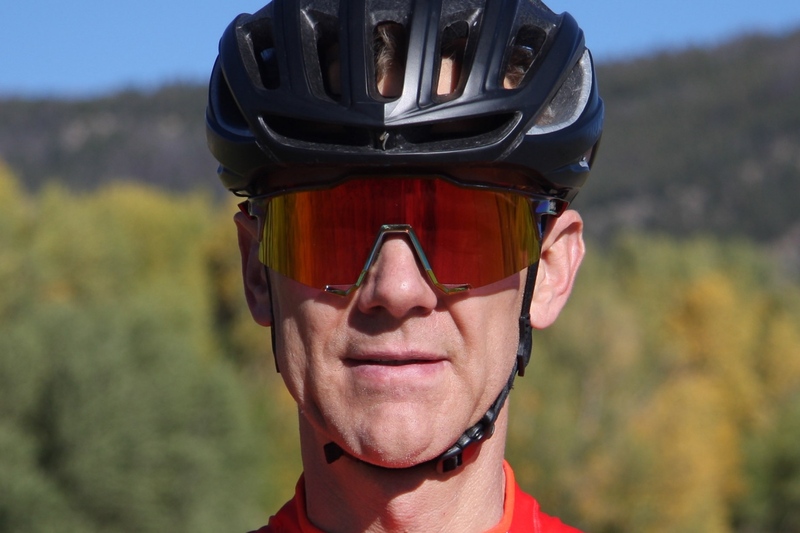 Obviously you’re not going to ride with sunglasses perched overtop your regular glasses, and contacts can dry out, fall out, and generally be a hassle. 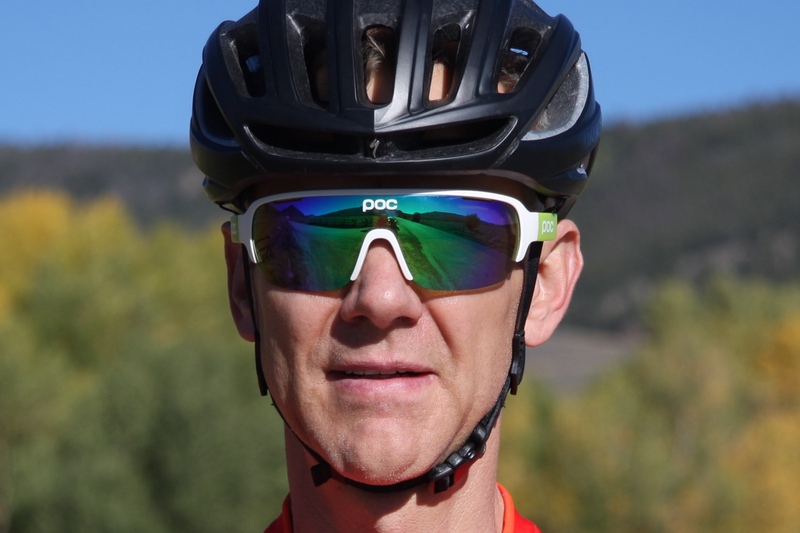 Thankfully many styles of cycling sunglasses can be outfitted with prescription lenses (including the two pairs of Oakleys detailed below). 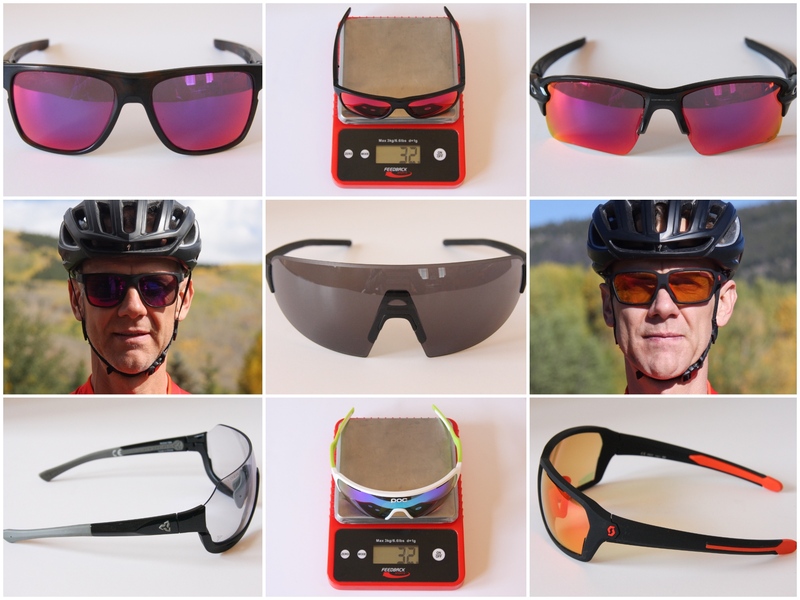 RoadBikeReview has had great experience working with online prescription sunglasses retailer SportRx, which carries a huge selection from brands such as Smith, Oakley, 100%, Julbo, POC, Rudy Project, Ryders, Scott, and Zeal Optics. You can read our review here and learn more about SportRx here. If you’re smiling you probably made the right choice. 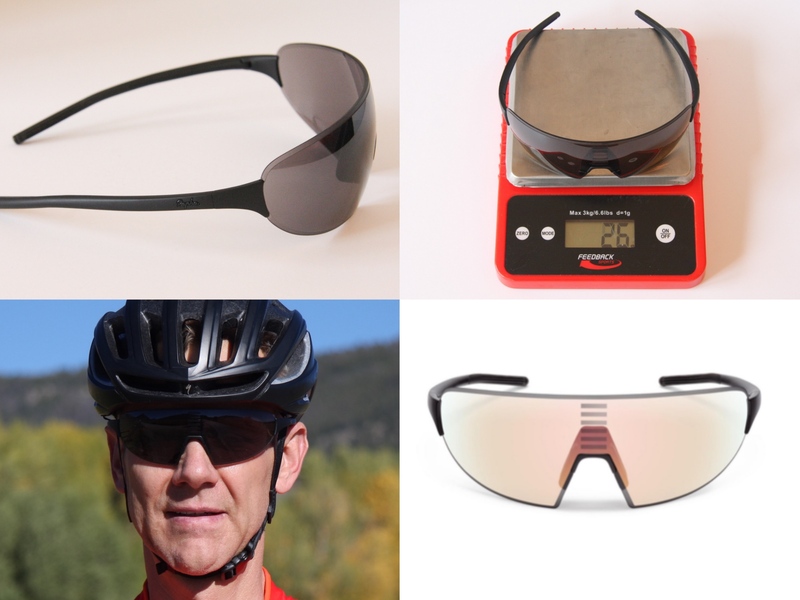 Now that we’ve run through the key basics of picking the best sunglasses for cycling, here are 10 of our top picks listed below in alphabetical order. 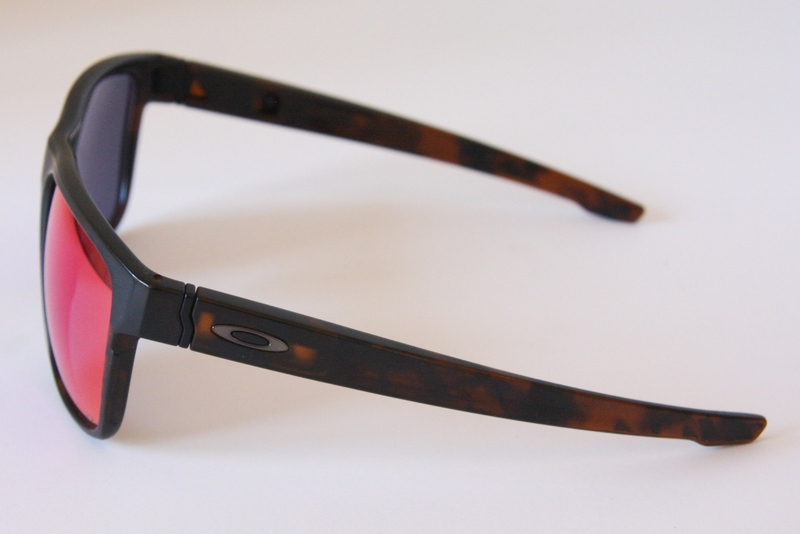 By far the most causal looking sunglasses in this list, the Oakley Crossrange XL are equally at home while riding bikes or hanging on the patio at your favorite brew pub. 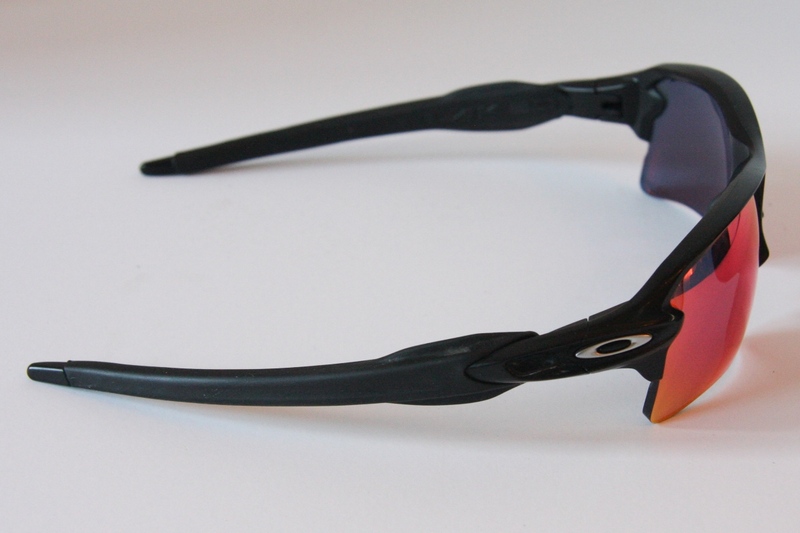 Interchangeable temples and nose pads help dial in fit, while a durable O-Matter frame and Unobtainium (Oakley’s word, not ours) earsocks and nosepads stand up to abuse and assure on-face security. And their flat lenses are perfect for those who need a prescription. 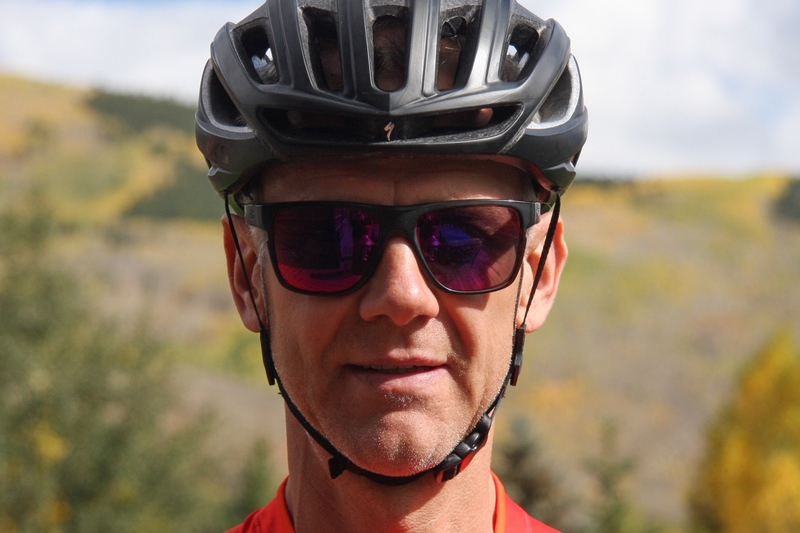 You can also get them spec’d with Oakley’s PRIZM Trail lenses, which are specifically geared toward mountain biking, and enhance reds and browns, making it easier to spot and avoid rocks and roots. 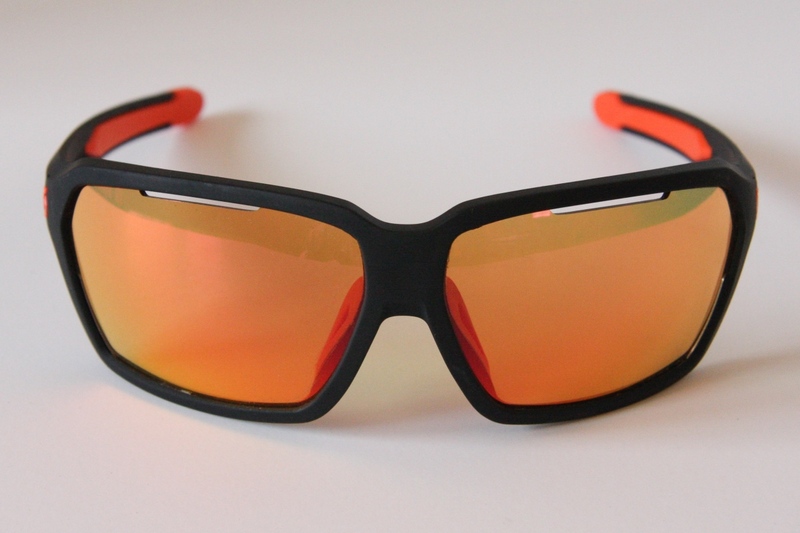 The lighter lens tint also works well in both light and dark conditions, making it easier to negotiate trails that dart in and out of the woods. 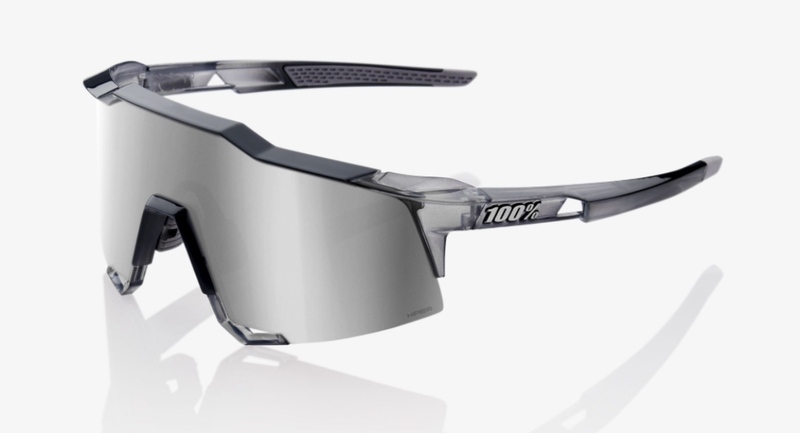 The Flak 2.0 XL has been an Oakley staple for years. 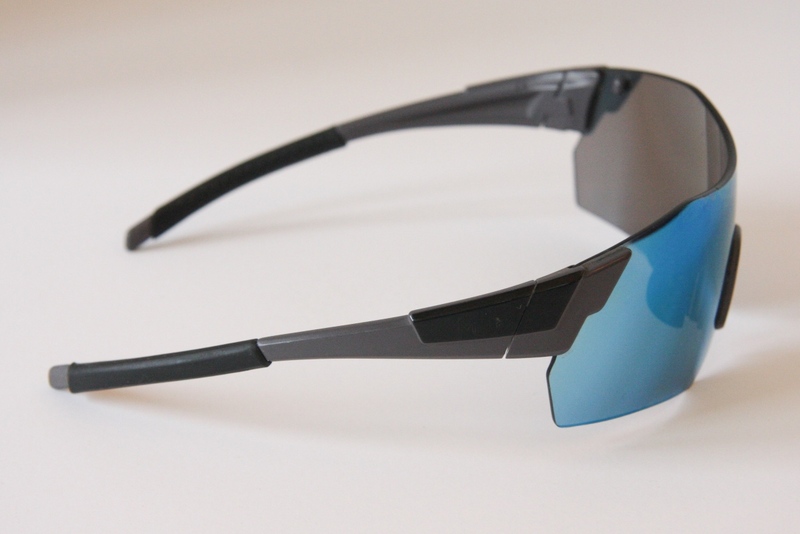 The latest version of these aggressively-styled sunglasses are constructed with Oakley’s proprietary O-Matter frame material for enhanced durability and lightweight comfort. Unobtainium earsocks and nosepads and a three-point fit system help keep them securely in place. 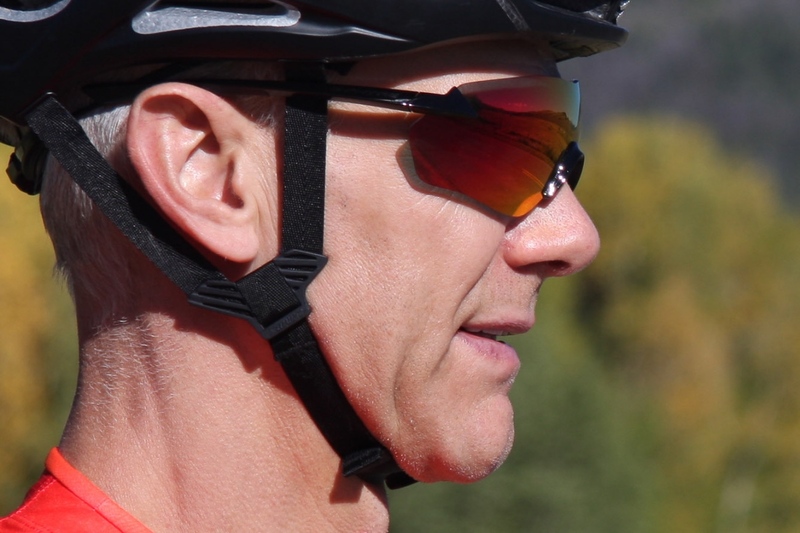 And they are available with sport-specific PRIZM lenses that in the case of cycling help boost contrast, making it easier to see — and avoid — obstacles ahead of you. And as mentioned above, they can be spec’d with prescription lenses. 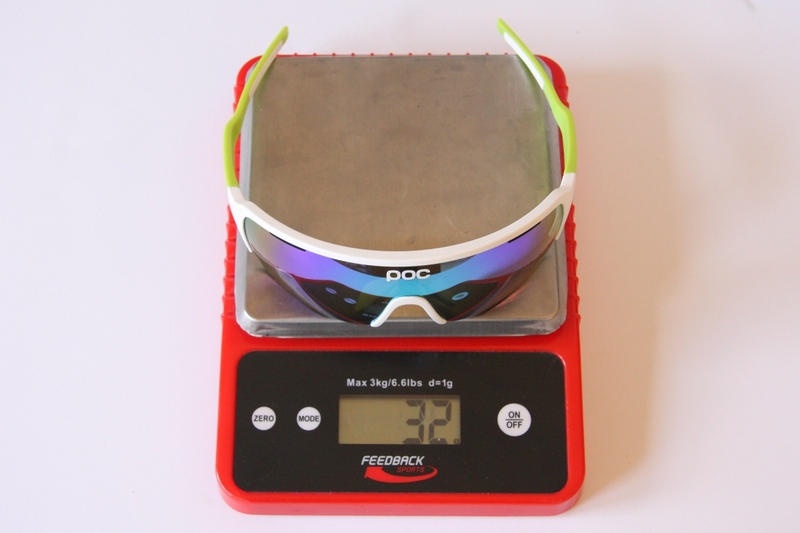 The eyewear of choice for three-time road cycling world champ Peter Sagan, the 100% Speedcraft deliver ample coverage thanks to a wide cylindrical shield. 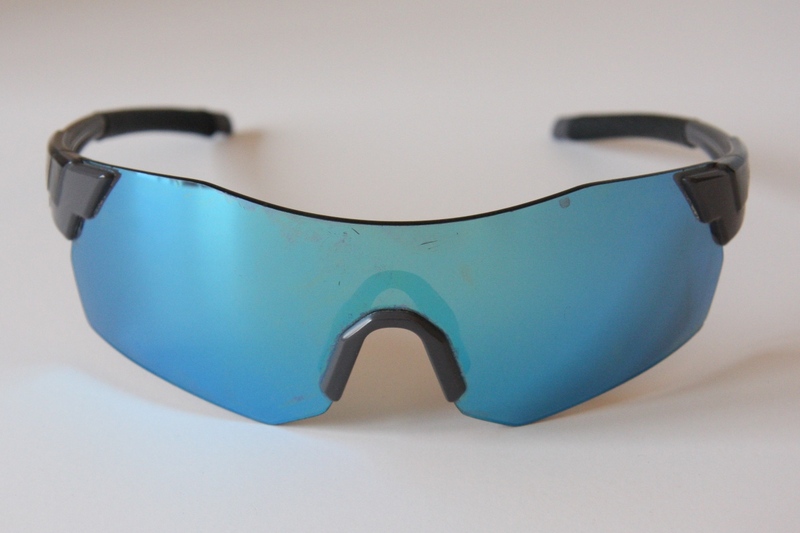 These shades are held in place by grippy rubber nose and temple pieces, and have lower air scoops that are designed to increase ventilation and reduce moisture on the lens. 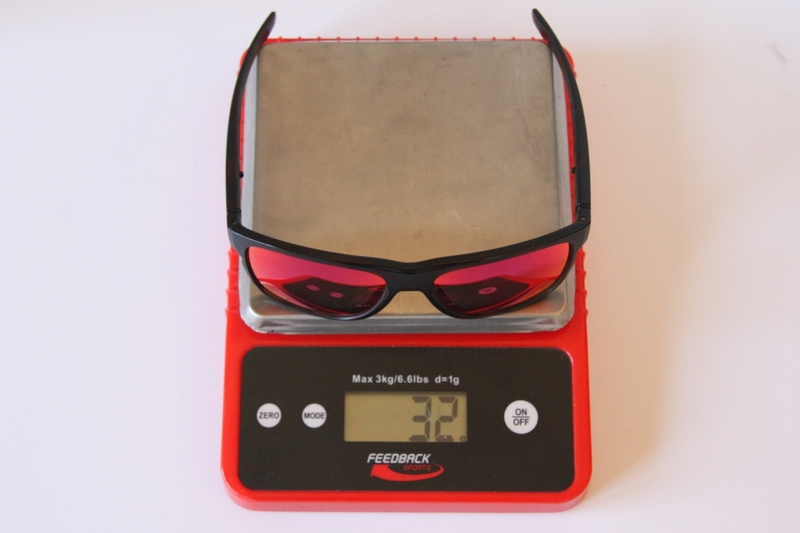 Other features include high-impact resistant and lightweight polycarbonate lenses that are interchangeable, scratch resistant, and have 100% UV protection. 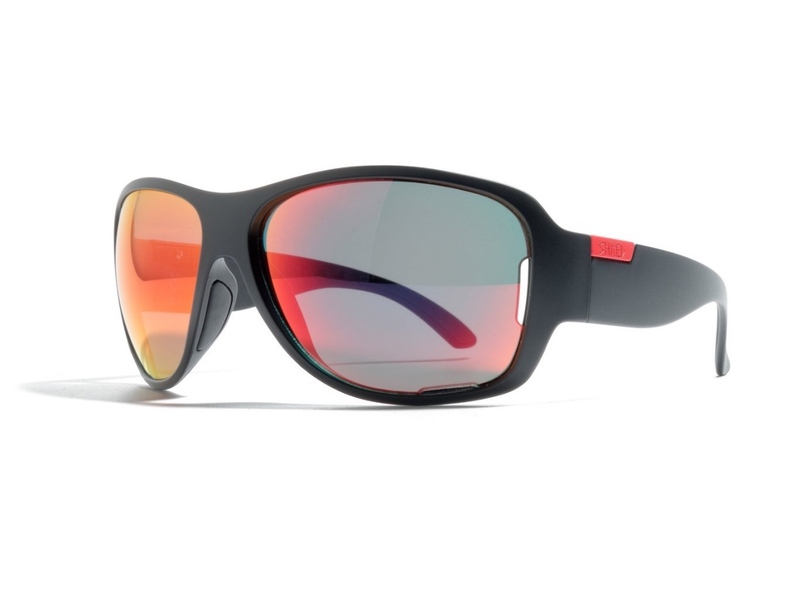 The brand’s HYDROILO lens treatment is designed to repel water, dirt, and oil, and the Grilamid TR90 frame is shatterproof. Yes, these are a big statement — and not especially post-ride friendly — but from a pure performance standpoint they’re hard to beat. 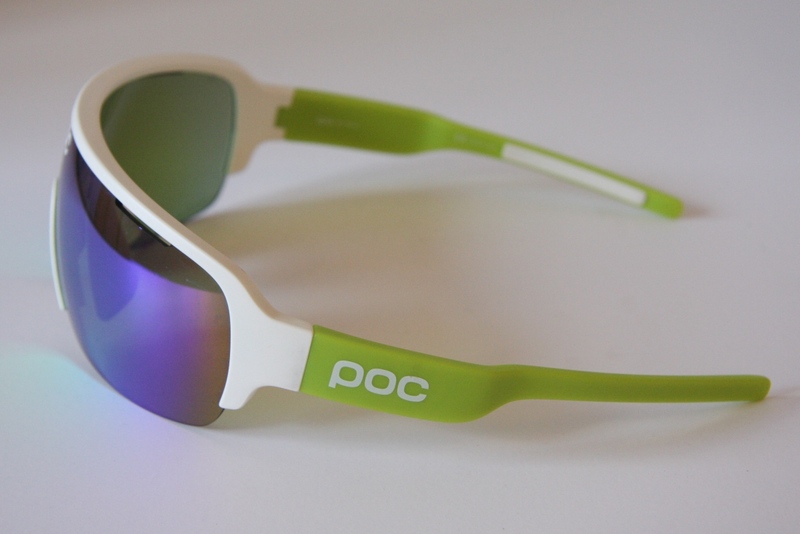 Developed primarily for road cycling, the POC Do Half Blade’s Grilamid frame is light weight and extremely durable. 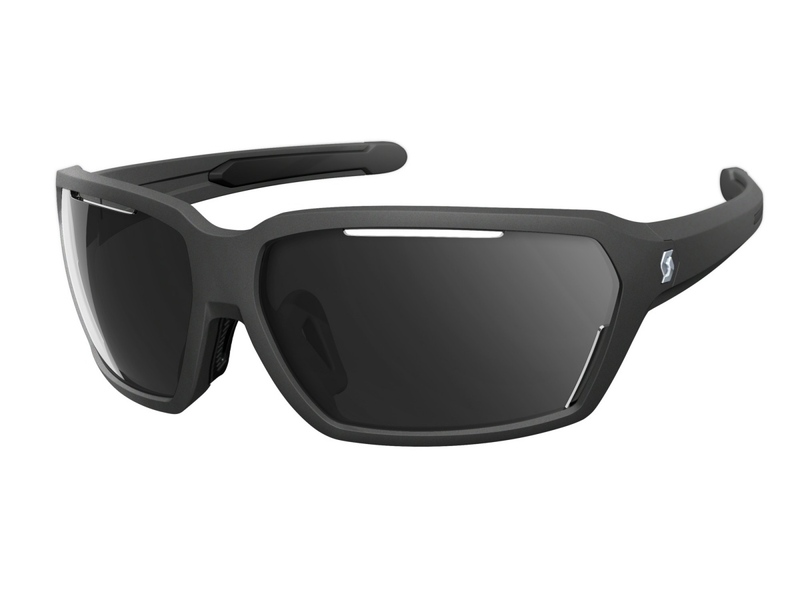 The wide-coverage half shield design provides full-view eye coverage and protection, and it’s easy to swap lenses in and out based on current light conditions. The temple arm inserts and adjustable nose piece are made from hydrophilic rubber that helps keep the frame firmly in place no matter how much you perspire. And the lack of a lower frame improves overall peripheral vision. 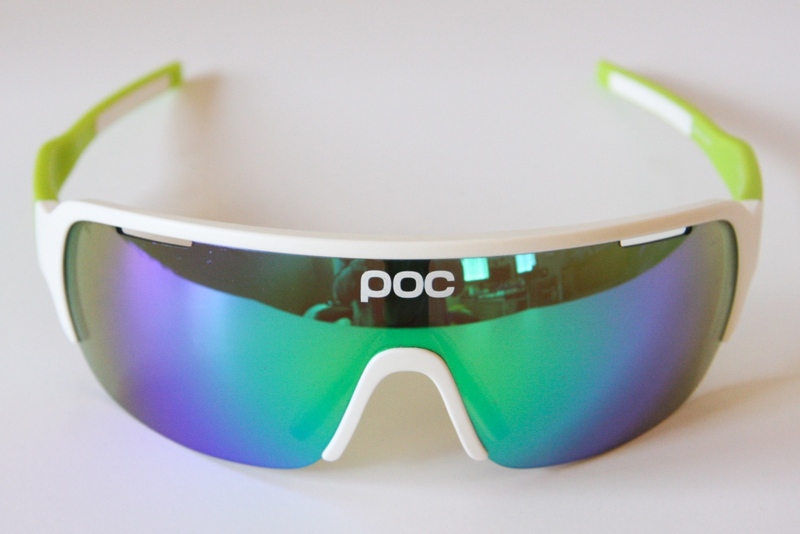 The POC Do Half Blade are available in several lens tints, all featuring increasing contrast that helps you spot irregularities, holes, and gravel. 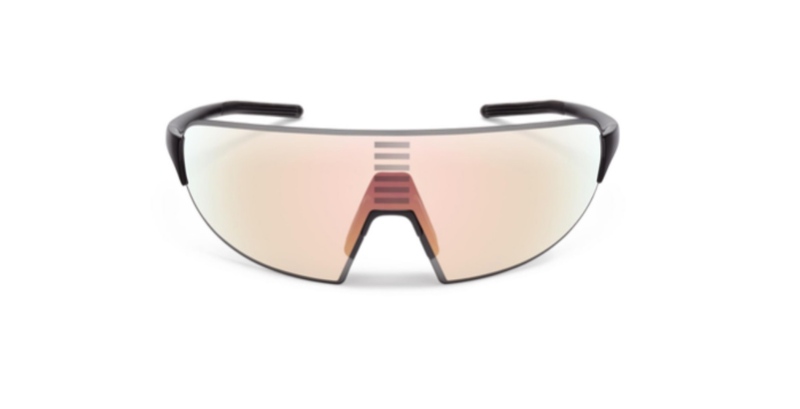 Utilizing a style inspired by aviator goggles, the Rapha Pro Team Flyweight sunglasses use carbon composite construction for lightness and stiffness, and feature a Carl Zeiss lens with a UV400-protective neutral grey/bronze mirror as standard. 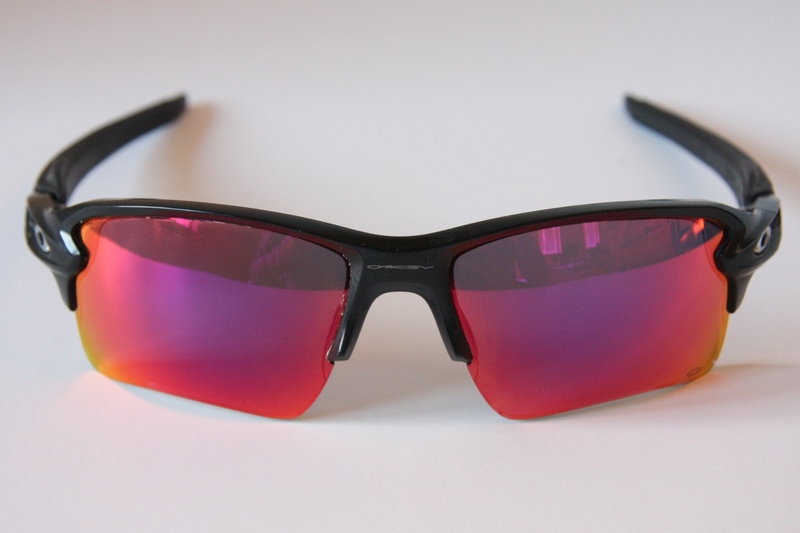 There are five other detachable lens colors available to purchase separately. 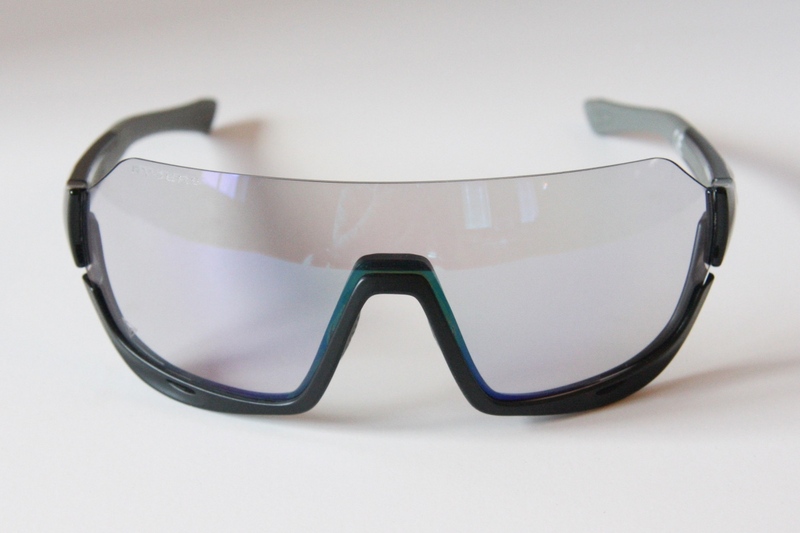 All these lenses are made from impact-resistant polycarbonate with oleophobic and hydrophobic coating front and back. The Italian-made lenses also come with a protective treatment that makes them scratch resistant, anti-fog, easy to clean, and help ensure dirt and water won’t stick. 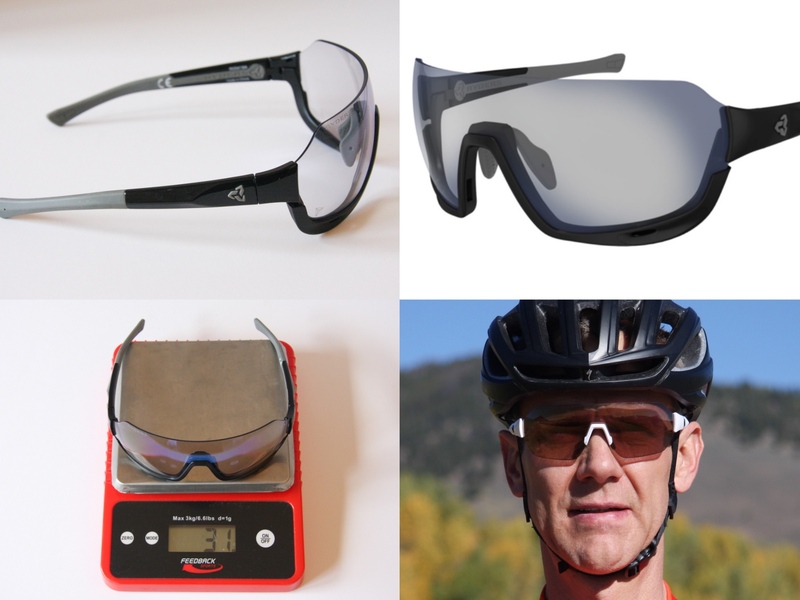 These were among the lightest shades in this round-up, tipping our scale at just 26g, and their minimalist frame means maximized peripheral vision while also delivering full coverage protection. 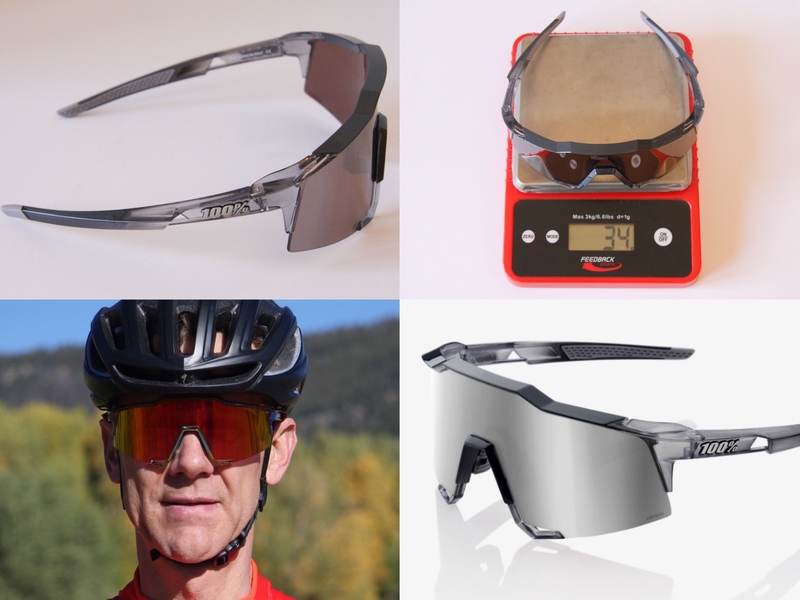 Among the most unique designs in this round-up, the Ryders Roam feature a removable Invert frame that allows you to quickly convert them from a rimless road cycling shield to a burlier mountain bike semi-rim. They also have fully adjustable nose pads and temple tips, helping ensure a precise custom fit on a wide range of face shapes. The lenses block 100% of UVA rays, and have a superb anti-fog treatment that will stave off condensation even in the most humid and damp conditions. 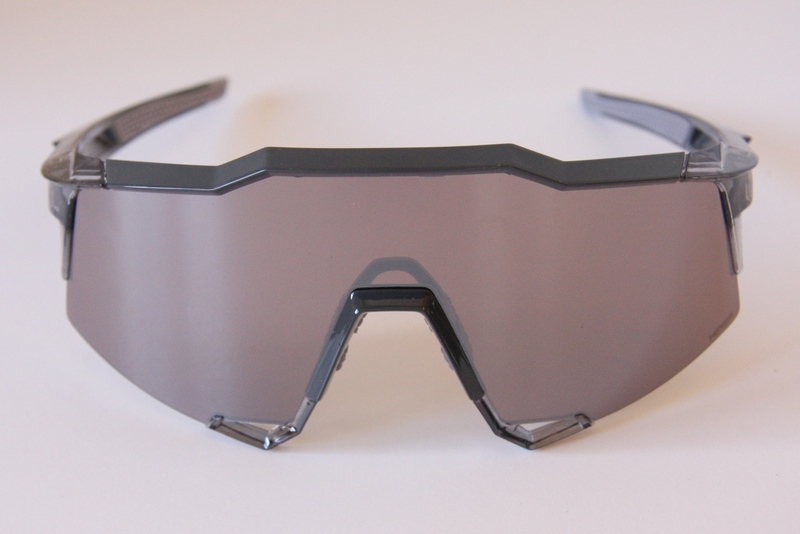 The lenses also utilize NXT, a proprietary polymer originally developed for fighter jet canopies and the windshields of military helicopters because of its extreme impact resistance and superior optics. 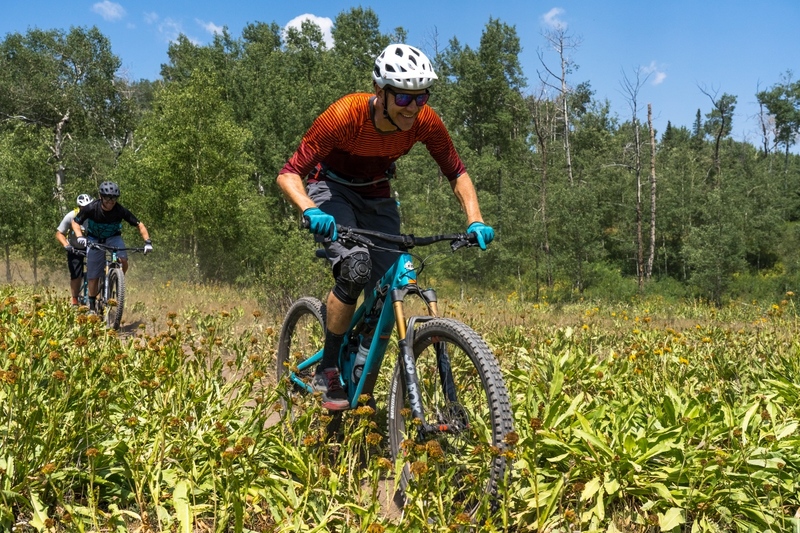 By far the most affordable option in this round-up, the Scott Vector utilize a traditional full-frame that’s designed to fit small to medium-sized faces. 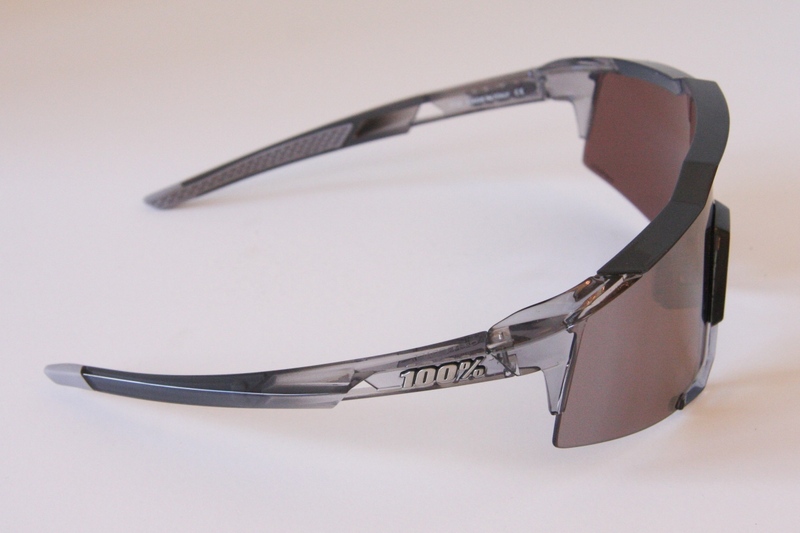 The lenses have small cut-outs to enhance ventilation, and delivere100% UV protection. 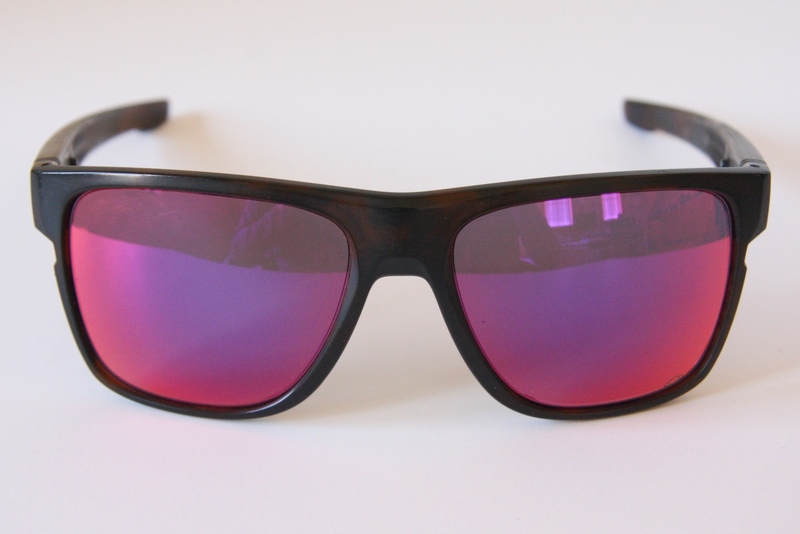 Temple tips and nose pads are made of a no-slip rubber, and they come in a variety of frame and lens colors. 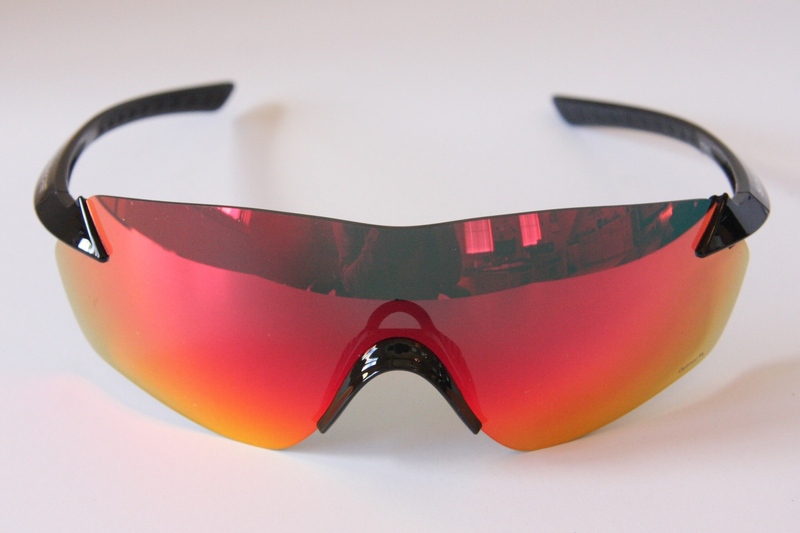 And unlike some of the larger shield-style sunglasses, you won’t be that guy if you keep these on after your ride. 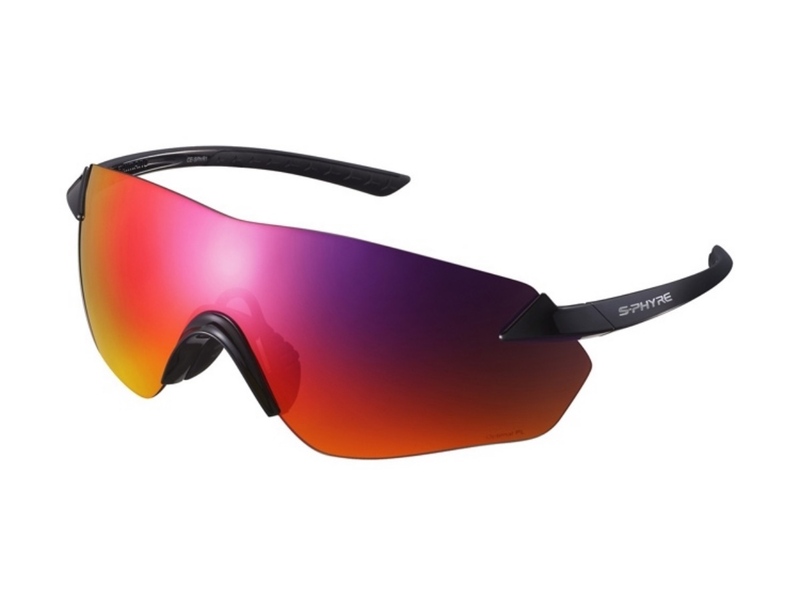 Sunglasses will never be the first thing that comes to mind when you think Shimano, but the cycling component making giant has done a great job with the S-Phyre R. These full-coverage shield style shades feature a lightweight rimless frame, radius temples with a non-slip pattern for security and comfort, and a unique reversible nose pad that has different front and back thicknesses for fit adjustment. 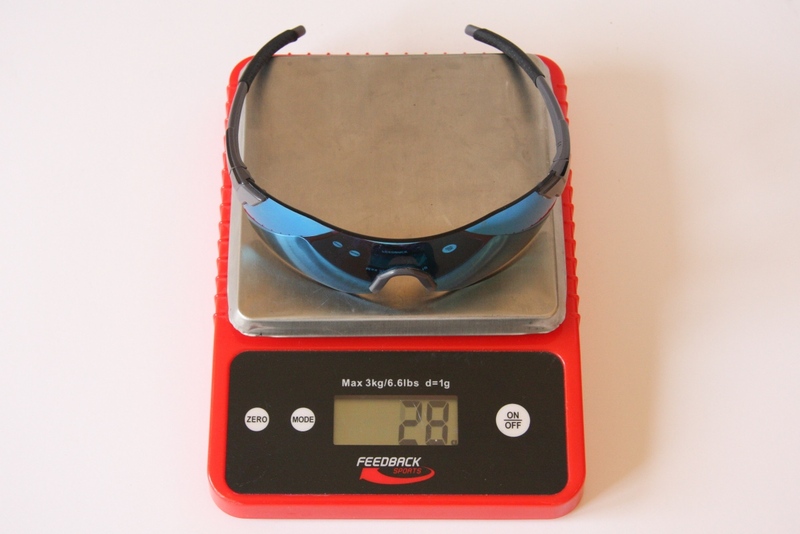 Photochromic lenses provide a wide range of transmission, adapting to multiple road and off-road light conditions. 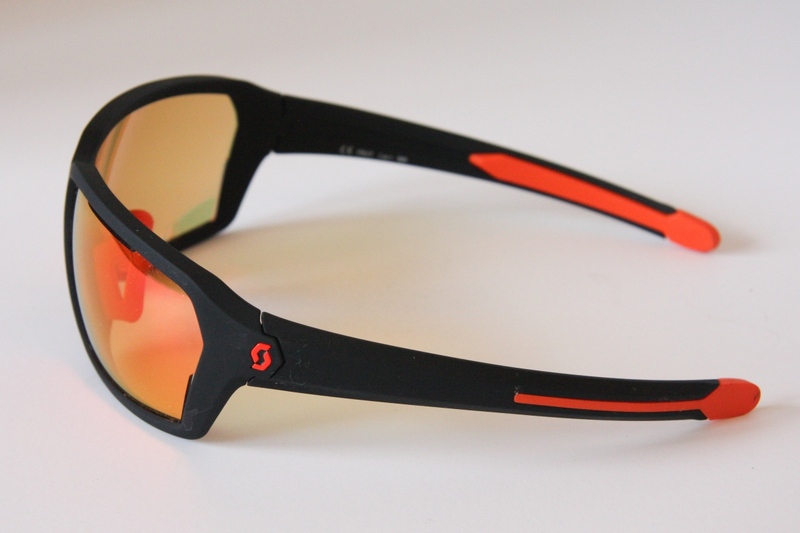 And frames are made from strong, durable, and lightweight Grilamid TR-90. 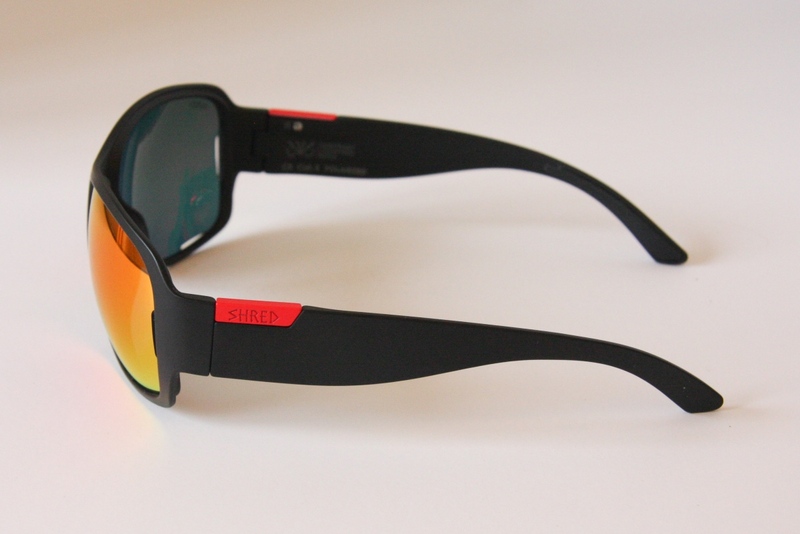 The Shred Optics Provocator NoWeight are undoubtedly the most polarizing sunglasses listed here. Some will love their playful bug-eyed shape. Others will shop elsewhere. 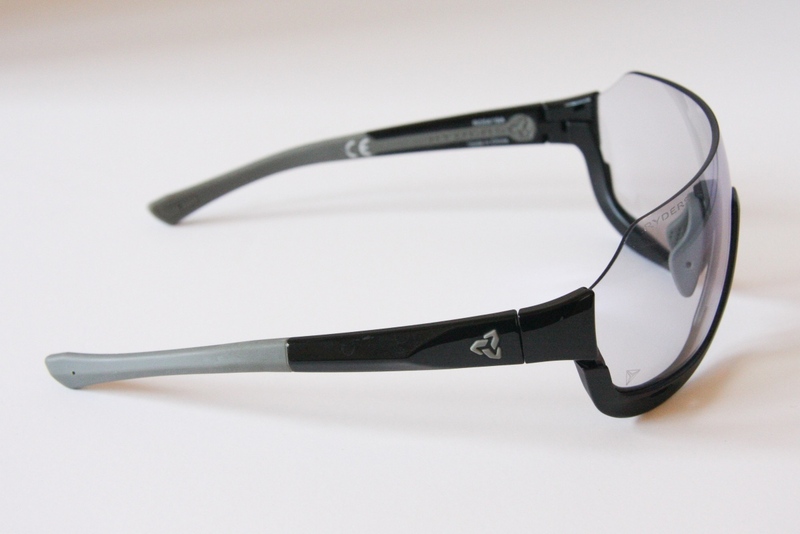 For those who buy in, the Provocator has a frame with a wrap-around design that delivers extra eye protection. 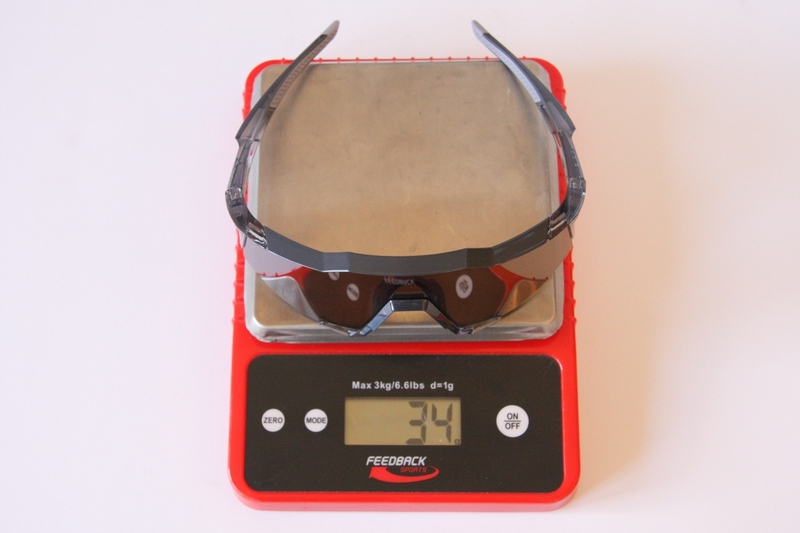 And as the name implies, The NoWeight frame is designed to be especially light, with its exterior providing a clean, streamlined appearance. Lenses utilize Shred’s contrast boosting technology that’s designed to amplify and enhance image definition and the vividness of colors. The idea is that it enables you to see nuances that would otherwise escape detection with a traditional lens. Yes, this is actually a discontinued model. And yes, Smith has many current offerings that are great for cycling. 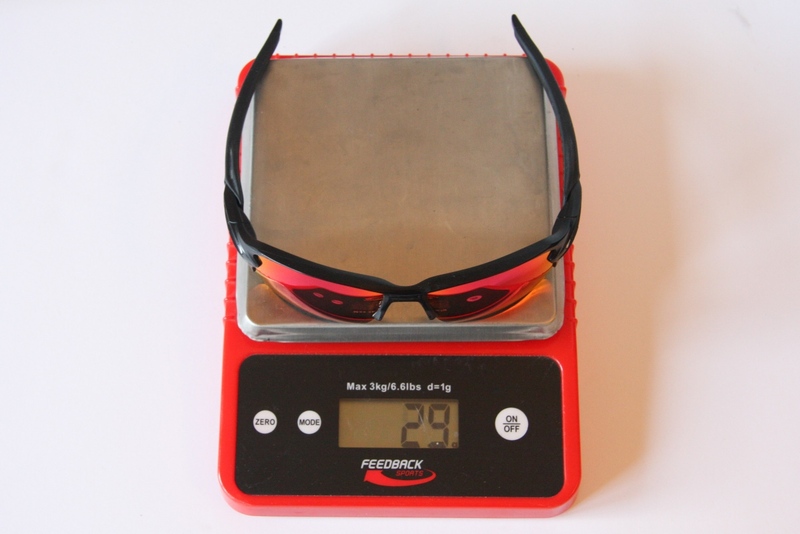 But we’ve been wearing a pair of PivLock Arena Max shades for several years now and continue to be impressed by their durability, superb optics, low weight, and overall durability. And you can find them for sale all over the internet at a discounted price. 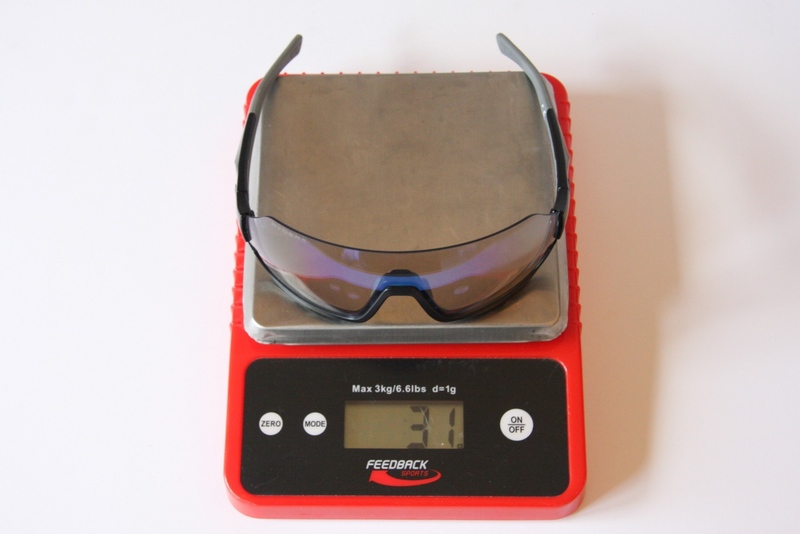 Features include a medium fit frame with a large coverage area, robust TR90 frame material, hydroleophobic lens coating, and two-position adjustable nose pads.